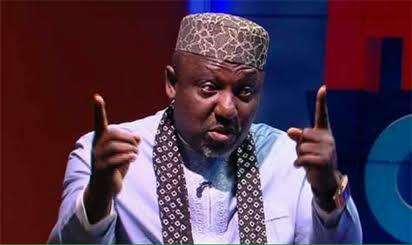 Mr Okorocha, stated this on Thursday in Abuja at the declaration of Adams Oshiomole, former governor of Edo State, to run for office of national chairman of the party. Mr Okoracha, who was at the event to show his support for the governor and endorse his bid, said he believes in Mr Oshiomhole’s capacity to address some issues in the party. “Another thing I think Oshiomole will address is that our party has begun to play the same kind of politics like PDP. All of a sudden we have started derailing and playing the PDP kind of politics. This started by some of those people who found themselves in political office especially appointment, who did not win their booths and wards. He said Mr Oshiomhole should also address the weakness of the party in the South-South and South-East. He said he believed Mr Oshiomhole can help strengthen it in those parts of the country. He called on the aspirant to ensure he roots out “urban masquerades” from the APC and also bring to an end the principle of “monkey dey work, baboon dey chop”.